If there’s such a thing as “Trumpier than Trump,” it appears President Donald Trump can be Trumpiest of all. Trump and especially McConnell earned the right to celebrate the first major batch of primaries of 2018. They walked away from bloody, expensive, and potentially downright embarrassing primaries with three solid, if less than lights-out sensational, candidates to take on Senate Democrats in states that voted for Trump. 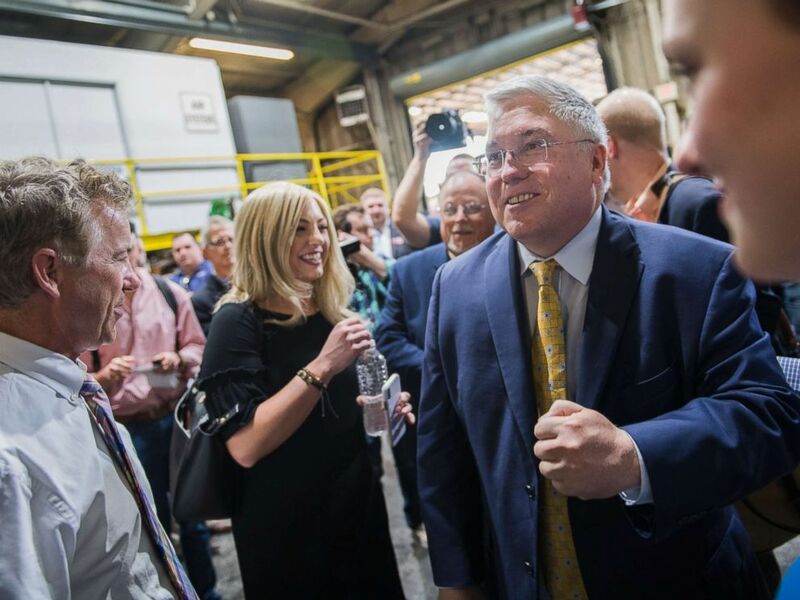 Candidate Patrick Morrisey, right, who is running for the Republican nomination for Senate in West Virginia, attends a campaign event with Sen. Rand Paul, R-Ky., left, in Huntington, W.Va., May 3, 2018. Patrick Morrisey in West Virginia, Mike Braun in Indiana, and Jim Renacci in Ohio join an impressive crop of challengers, stocked with recruiting coups and personal fortunes. They join Rick Scott in Florida and Kevin Cramer in North Dakota to ensure at the very least that Democrats will have to play aggressive and expensive defense in the midst of their quest to gain the majority. None of this guarantees Republicans anything, or means much at all when it comes to keeping the House. But six months before Election Day, Republicans are putting together a solid lineup of candidates to go along with a strong economy and potential Trump foreign policy breakthroughs. Democrats may still sweep the midterms, but they won’t necessarily be able to count on Republicans to do the hard work for them. Democrats too felt good about the results from last night. Sure, a few farther-right or more controversial candidates on the other side might have helped their chances more in the fall, but Democrats have known that this year, no matter what, they would have to defend a number of tough Senate seats. Where there might have been bruising left-on-left races, there weren’t, really. In Ohio, the gubernatorial primary split some Democratic endorsements, but party voters were united. In House districts in North Carolina, Indiana and Ohio, party picks emerged well-positioned and unscathed. 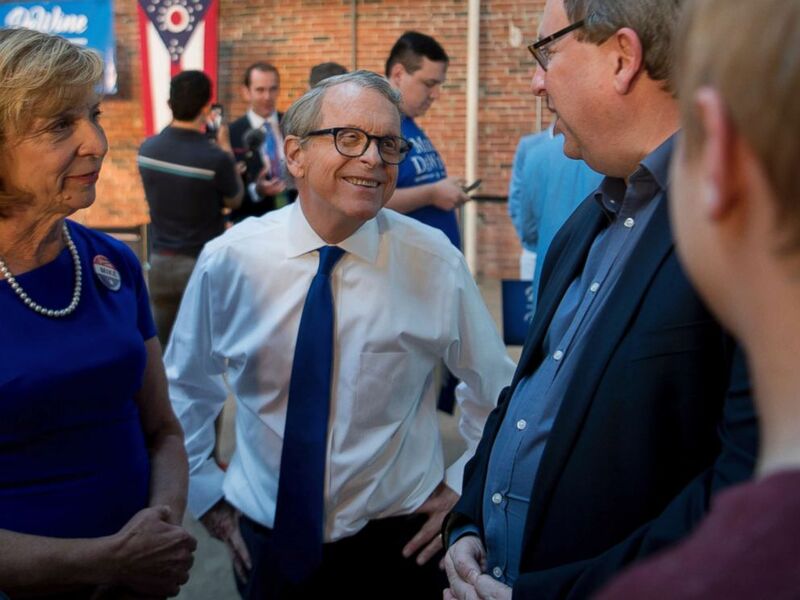 Ohio Attorney General and Republican gubernatorial candidate Mike DeWine greets supporters at a primary election night event, May 8, 2018, in Columbus, Ohio. In a swath of the country where the party has struggled to define itself, there are now new faces. Veterans, business owners, moderates and first-time candidates secured Democratic Party nominations last night and with these fresh names, Democrats see opportunities to take seats. The strong turnout numbers in West Virginia got them jazzed. Mostly, the Democrats who did well last night were focused less on the president and more on pocketbook issues. They were safer picks, perhaps, more to the center on issues like guns and health care in a lot of cases, but they will likely be competitive in places where Democrats need to win. After a vicious primary, the fight might not yet be over for Don Blankenship, who lost in the West Virginia Republican Senate primary to current state Attorney General Patrick Morrisey. Blankenship -- who has said he would not support Morrisey as the Republican Senate candidate -- suggested to ABC News that he might continue to play a role in the race between Morrisey and Democratic Sen. Joe Manchin – but from the sidelines, wherever that might be. After the general election, he plans to take a trip to Paris and today heads to the luxury West Virginia resort The Greenbrier to relax and play blackjack. But at the end of the night, Blankenship, an ex-convict, said he is still a winner-- at 12:01 a.m. Wednesday his parole ended. 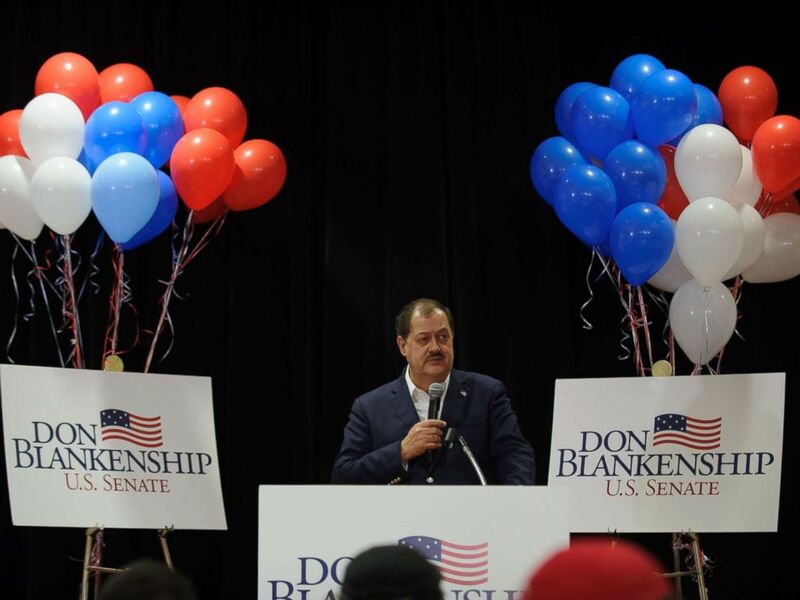 U.S. Senate Republican primary candidate Don Blankenship addresses supporters following a poor showing in the polls May 8, 2018 in Charleston, West Virginia. Morrisey, however, said in a victory speech to supporters Tuesday's win "is not the end of our journey." He's already on to his general election fight against Manchin. In his primary night speech, Morrisey started his next round of attacks. "Sadly, Joe Manchin has become just another rubber stamp for the liberal, Washington elite agenda, the same people who think of us as flyover country," Morrisey said. The President participates in an event in celebration of military mothers and spouses at 3:10 p.m. The President has dinner with Members of Congress at 7 p.m. The Senate Select Intelligence Committee considers the nomination of Gina Haspel to head the CIA at 9:30 a.m. The Department of Justice holds its ninth annual Cybersecurity Symposium at 9 a.m.
Secretary of Defense Jim Mattis and Chairman of the Joint Chiefs of Staff General Joseph Dunford appear before the Senate Appropriations Subcommittee on Defense at 10 a.m.
“Maybe we need a competent nerd to lead the state forward.” - Former Ohio Democratic governor Ted Strickland to ABC’s Arlette Saenz, referring to Richard Cordray, winner of Ohio’s Democratic gubernatorial primary. He’ll face GOP Attorney General Mike DeWine in November.